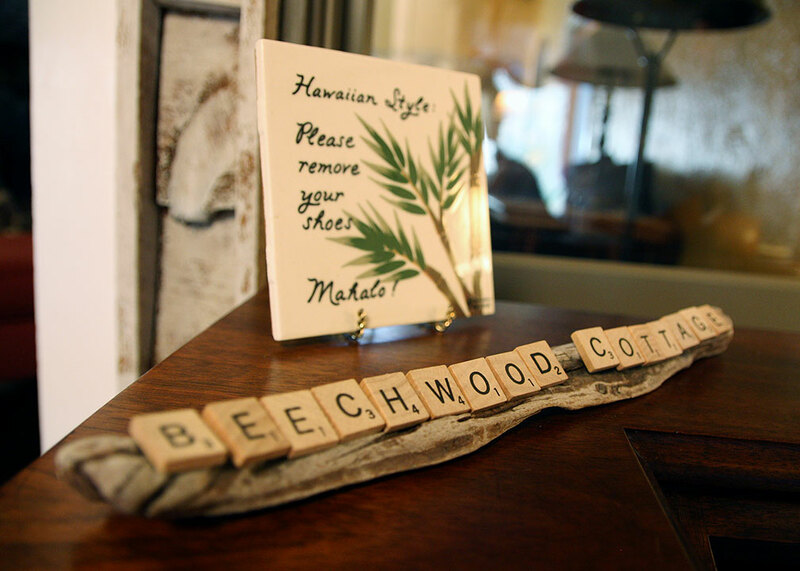 Beechwood Cottage was built in the 1930's and lovingly updated to welcome today's visitors. 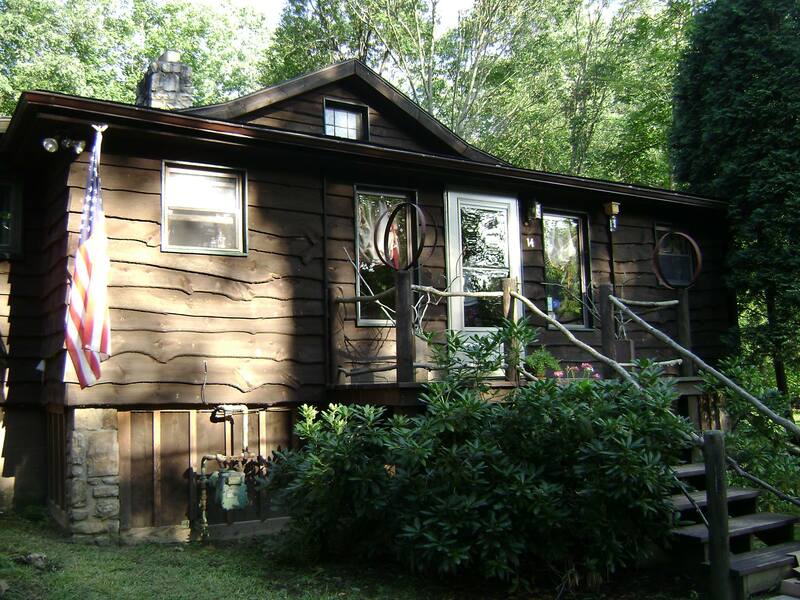 Beechwood Cottage is a vacation home in the beautiful Pennsylvania Laurel Highlands region. 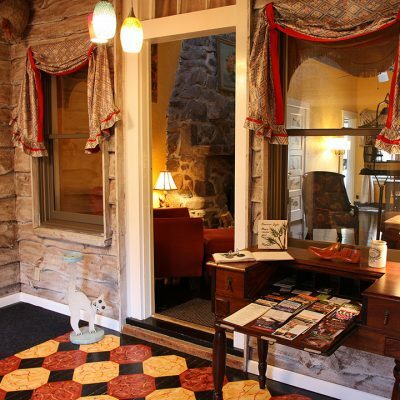 An artistic and eclectic experience awaits you as soon as you enter through the front door. 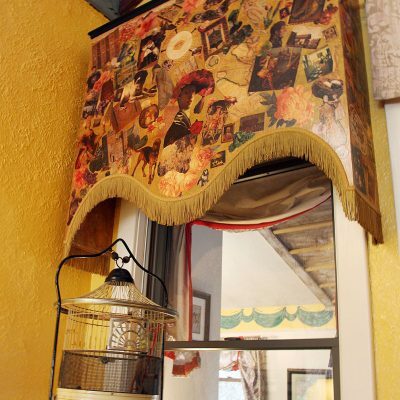 Hand painted floors, textiles, decoupage and more. 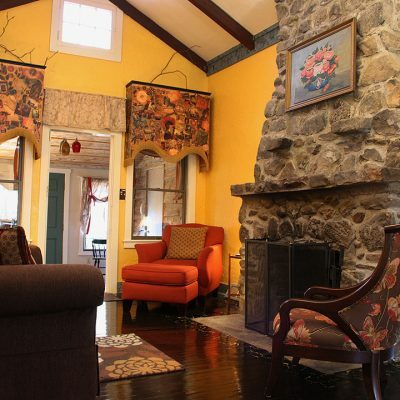 Our Ligonier Vacation Rental has three fireplaces - two working and one decorative. The comfortable living room was designed with conversation and comfort in mind. 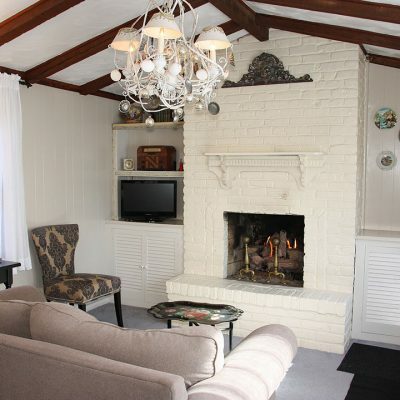 Enjoy a book or a glass of wine by the fire (in season). 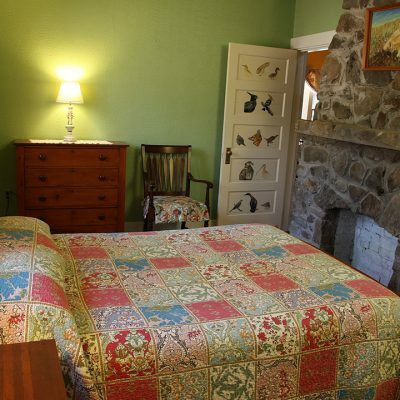 The cottage includes a blend of antiques and new furniture. 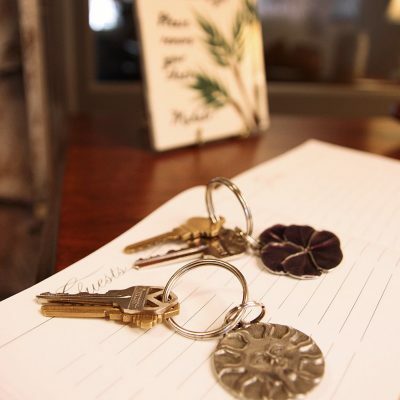 Everything was carefully chosen with the quality of our guests' experience in mind. Visit our famous Ligonier Farmer's Market, grab some local food, cook a delicious meal and enjoy it with great conversation at the cottage farm table. 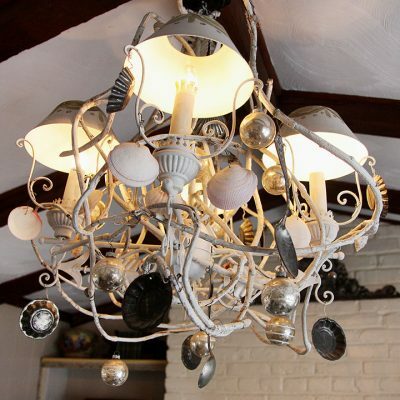 Jody Zimovan was the original artist to live and work in the house. She worked in many media and we're honored to have her original artwork through and even incorporated into all parts of the cottage. 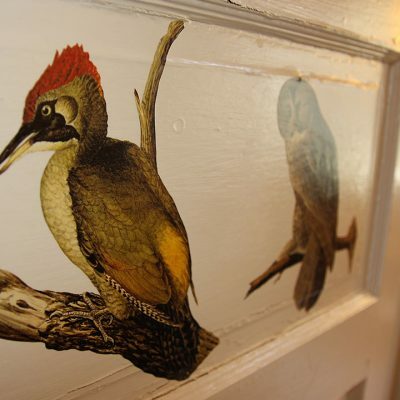 Many of the original artistic touches remain in the cottage. 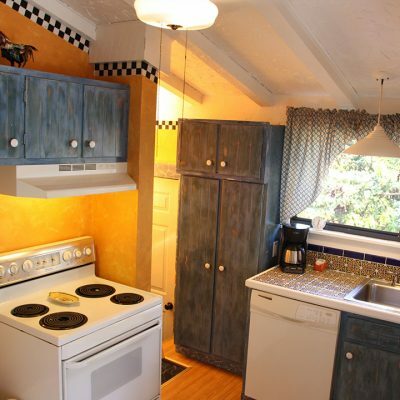 The kitchen area includes a stove, microwave, full refrigerator, dishwasher, and more. A view to the family room from the kitchen. 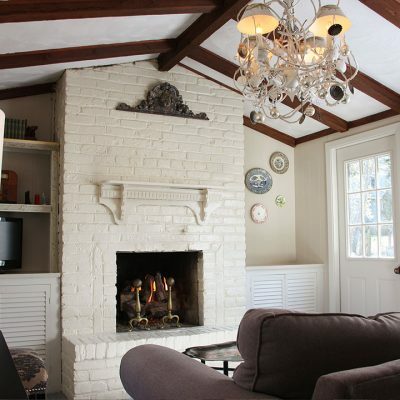 Relax by the gas fireplace (in season). The open space from family room to kitchen will help keep mealtime prep fun! 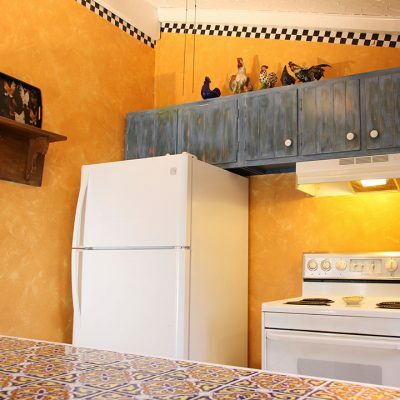 Our vacation rental kitchen is equipped with everything you need for a short or long stay. 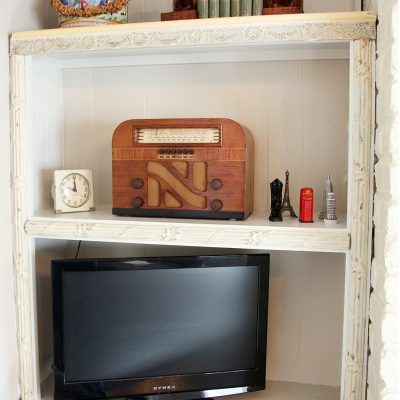 The cottage includes high-speed WiFi, Roku, HDTV with outdoor antenna and built in DVD player. We're happy to help explain the Roku operation - just ask. The back door leads to our private deck and beautiful days and evenings under our canopy of tall trees. The cozy TV room is great for talking, reading, watching TV or just relaxing on a chilly winter day or hot summer afternoon...don't worry - Beechwood Cottage has central air conditioning. 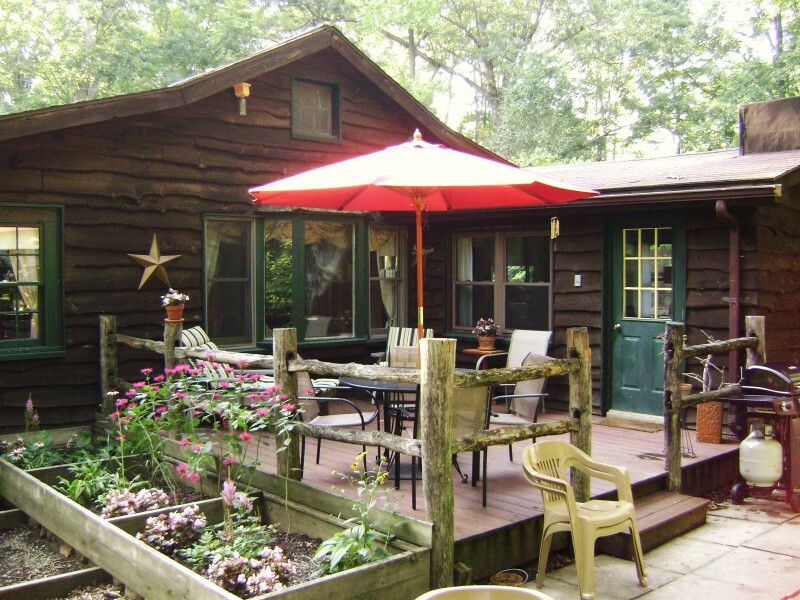 Our deck is private and surrounded by perennial gardens and a fenced yard. 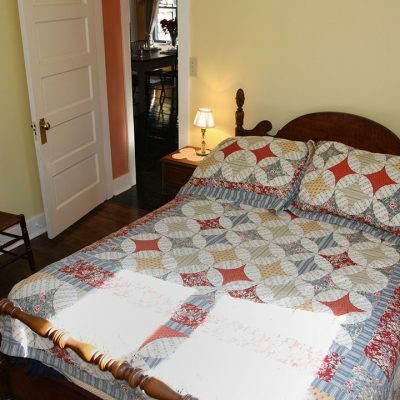 There are three bedrooms in the cottage. Each has a double bed. 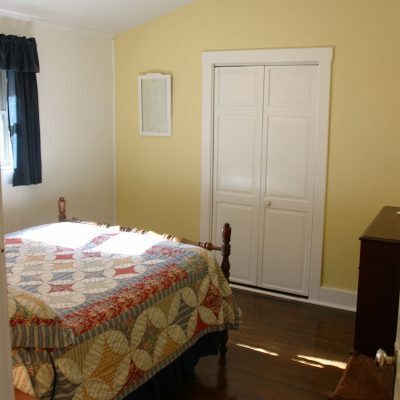 Another view of the yellow bedroom. The green room is our master bedroom. 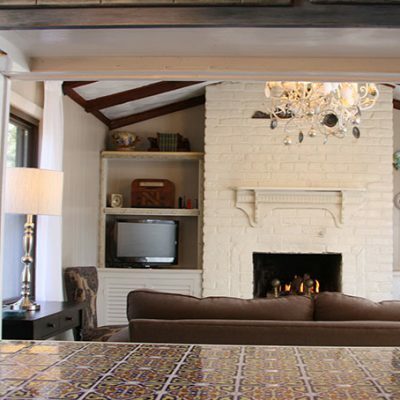 It has a decorative fireplace and private bathroom. After you depart, we'll add a new pin to our map. 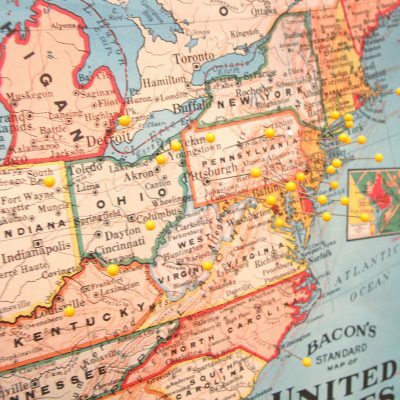 We've had so much fun adding pins from all across the country and around the world! 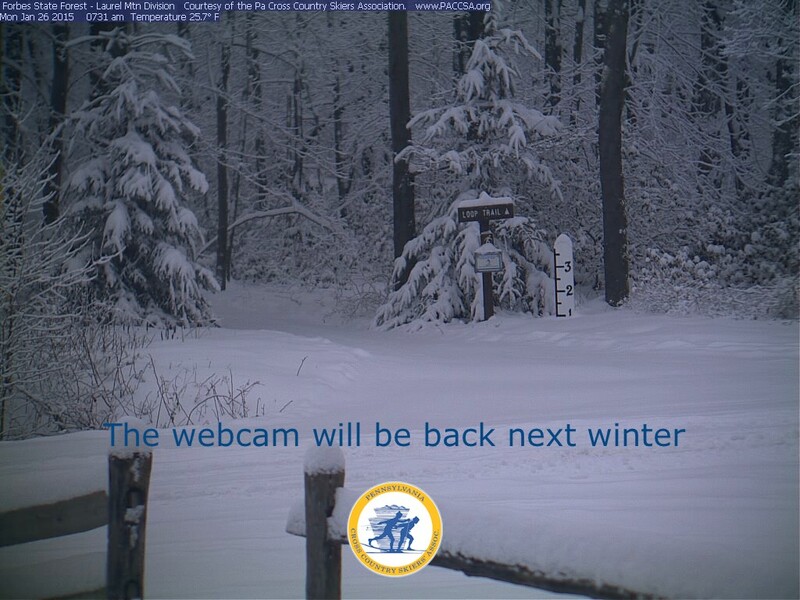 Be sure to take a look when you arrive. 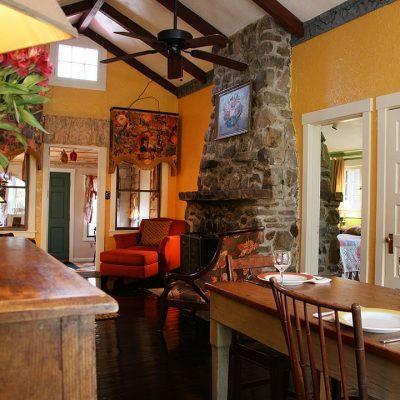 Let Beechwood Cottage be the key to your greatest Laurel Highlands vacation. 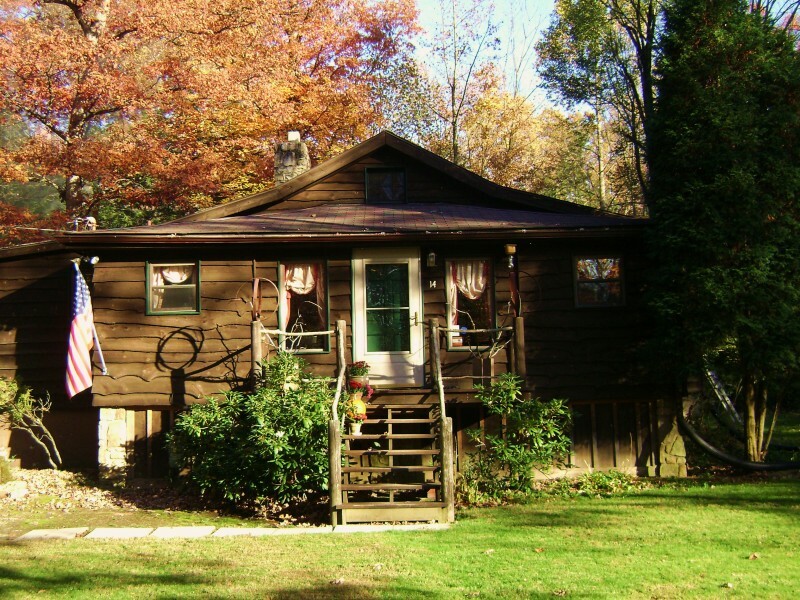 Our rental cottage is available year 'round for your enjoyment. 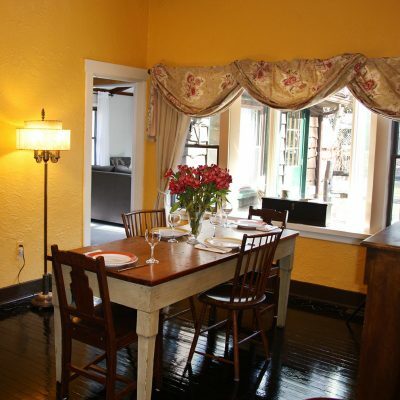 We have selected each item in our Ligonier Vacation Rental with your experience in mind. 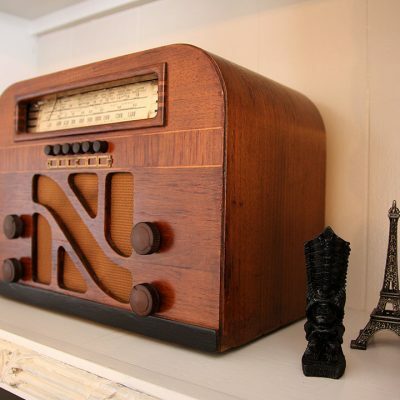 We hope you'll be delighted and surprised by the eclectic mix of new and old items. 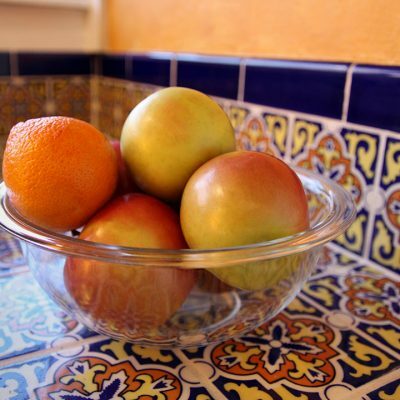 A bowl of fruit sitting on the counter at Beechwood Cottage in Ligonier. 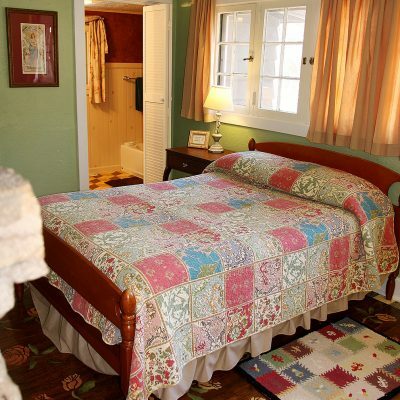 There are three guest rooms in Beechwood Cottage. This is the Blue room with a double bed. 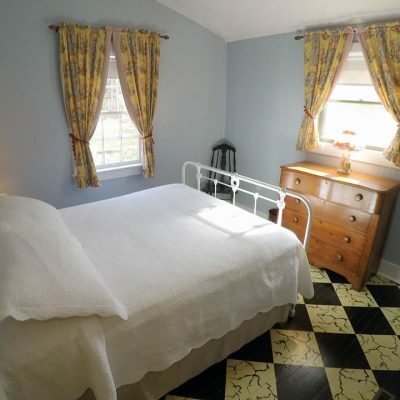 The master bedroom in Beechwood Cottage, Ligonier, PA. A vacation rental. 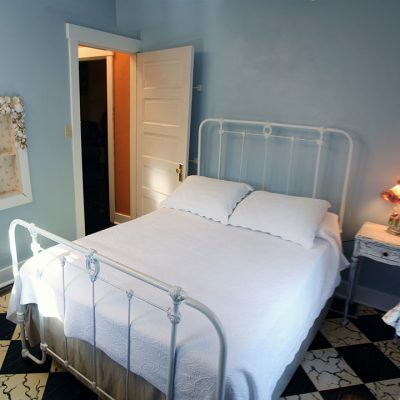 Another view of the Blue Bedroom's antique iron bed and painstakingly hand-painted floor. 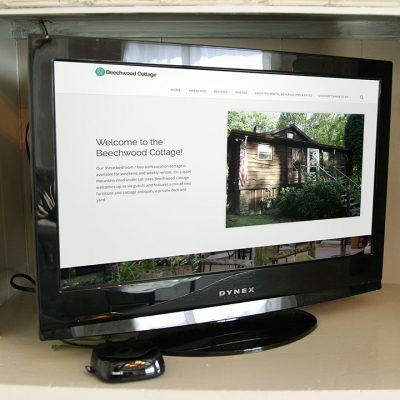 Beechwood Cottage is ready to welcome you.